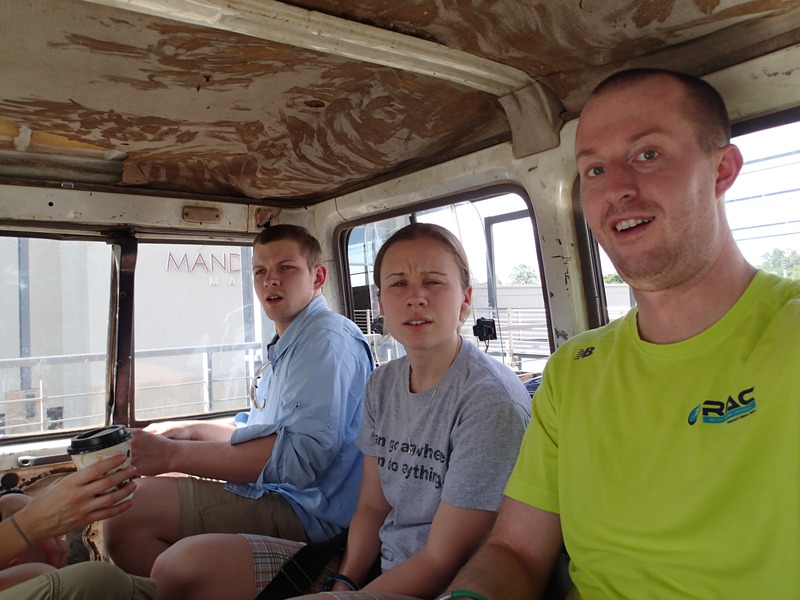 Above: Joe and Jenn caught off guard by a photo in the back of the Land Cruiser. Today our final team member, Kelly, arrived. After picking her up from the airport and having breakfast, we went to the Department of Immigration to get our permits to stay here and do research. While it took a while, it could have taken much longer. We also visited Dr. Katongo at the University of Zambia where we met with a professor who has helped us work with the Zambian government and was gracious enough to provide us with some ethanol for our samples (flying with ethanol would have presented some obvious problems). He and everyone else we met in the Department of Biology we met was extremely friendly (as it seems everyone in Zambia is), and it was great to see another college campus. Around the house and in various other parts of town we’ve seen plenty of interesting things (at least to a group of biologists): plenty of lizards, giant millipedes, and huge land snails. I’m guessing most of the Zambians consider us pretty unusual Mzungus when they see us all huddled around a tree or anthill. It looks like we will be heading to the lake on Wednesday on an overnight bus ride, so we’ll arrive Thursday morning in Mplungu. Tomorrow we have some more errands to run, and we’ll need to get everything organized for the bus trip. I’m glad everyone is there safely. The visit to the college sounded interesting. I can’t wait to see pictures of anthills, lizards and the geography/people of Zambia.